Similar to the Barotse, but smaller in size; long body which often narrows at shoulders and pin bone; the short horns are directed outwards or upwards; common coat colours are black, red or patterns of black-and-white or red-and-white (Rege and Tawah, 1999). Maintained by commercial farmers as well as traditional semi-nomadic pastoralists in southern Zambia, from the Zambezi valley northwards and eastwards to the Sunemfwa river and westwards to the Manyeke river (Rege and Tawah, 1999). 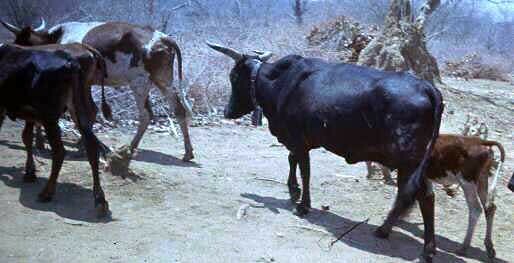 The original Tonga sanga cattle had been maintained by the Tonga tribes in southern Zambia and northern Zimbabwe. Repeated raids during the 19th century depleted the original stocks. Later the herds were restored mainly from the neighbouring Barotse cattle, thus the present-day features are similar to those of the Barotse.